You know I’m not done talking about Iceland right? I have a few more posts in the works on that topic, but in the meantime, how about a short and sweet house update? 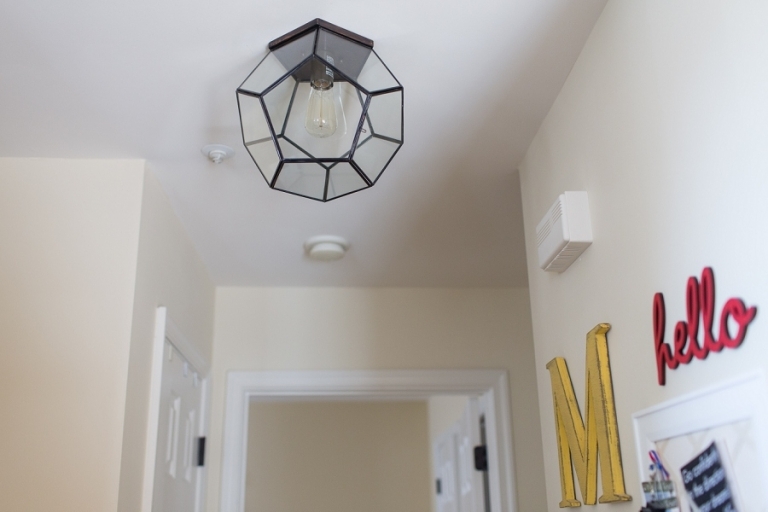 Remember when I said we were done updating the brass light fixtures in the house? Well, spray-painting those three octagon-shaped builder fixtures was a temporary fix while we spent the money on other things (a.k.a., plane tickets) and while I we decided on the perfect replacements. In the past few months I’ve we’ve finally managed to make some decisions and upgrade two more of the lights. This fixture sits at the top of the first staircase in the hall on our main floor. I had my eye on it for a long time and finally decided that it would be a fun detail for this spot. And then this one hangs above the little landing adjacent to the loft on the top floor. 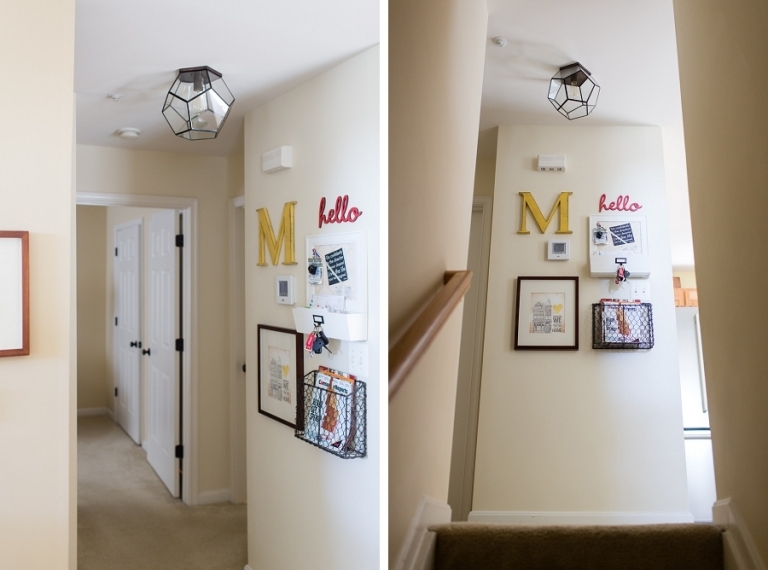 It’s in the same collection as the pendant lamp hanging at the bottom of the staircase, but I liked that it wasn’t super matchy-matchy. It was another “fun” installation – the electrical box was originally installed a little too recessed into the ceiling and a bit off-center, so we came up with the MacGyver-worthy solution of wedging a few coins in the gap for a better fit. So if a future homeowner in this house ever changes that fixture, they’ll find a bonus of about $0.30! 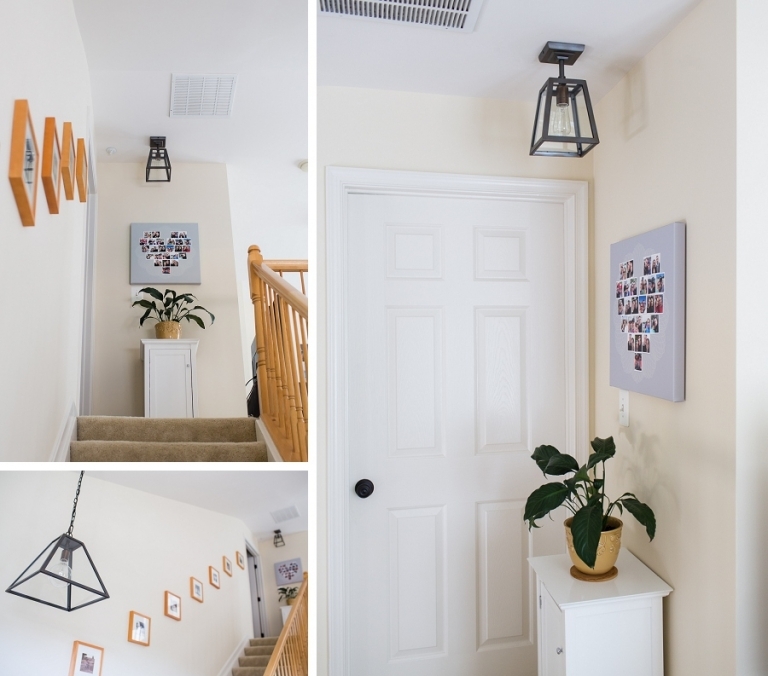 Much to Chris’s dismay (installing lights isn’t his favorite), there is one remaining original fixture in the foyer that I spray-painted, but I’m still on the hunt for a replacement that will give our our tiny and awkward entryway some more personality. Oh, and there’s also the master bathroom that desperately needs a complete makeover including a lighting update, so he’ll still get to flex his electrician skills a few more times in this house. I might try to start tackling that master bath in the fall, although my updates will be very budget-friendly so that we can save money for some upcoming trips instead (hint: Peru isn’t the only South America destination on our short list! ).